Bartley’s Paint and Body Shop is your choice when quality matters. 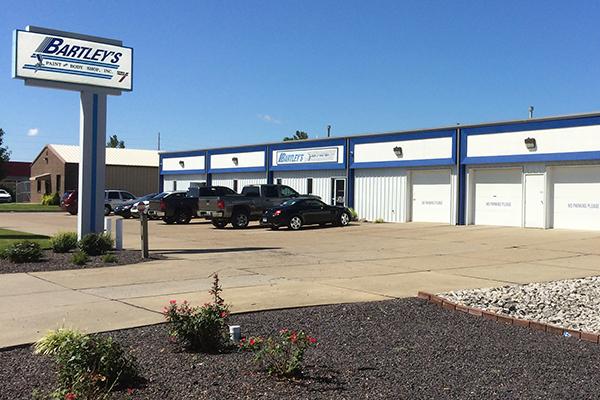 Bartley’s Paint and Body Shop was established in June of 1983 by Tom Bartley. In 2008 with over 22 years of employment with Bartley’s as a body man, painter and shop manager, and 30 years of experience in the auto collision industry, Greg Neidig purchased the business from Tom upon his retirement. We continue to maintain our reputation of providing our customers with superior and professional services for their automobiles. With the ever changing developments of the automobile industry, we strive to remain a leader in repair processes. From the most advanced laser measuring systems, highest quality paint and materials available, ASE and factory certified technicians, to state of the art paint booths and color match technology, we continuously move forward in the industry. In an age where our natural resources are constantly in question, we take an active role in being “green” by recycling our metals, solvents, engine coolant, and engine oil. We feel this is a small way of doing our part for the generations to come. Every operation, from realigning unibody components to the smallest detail must meet our demanding standard of quality. For over 30 years, Bartley’s Paint and Body Shop’s commitment to provide quality auto collision repair service has earned us valuable customers and our goal is to continue to provide you with a standard of excellence that is nothing short of perfection.